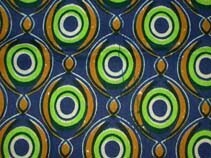 Africa nature prints are vibrant and colourful which mainly focus on wild and nature patterns. As Africa is the host country for FIFA world cup 2010, except the football, it may also be a great moment for them to introduce their fashion culture to the world. 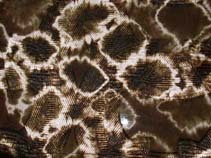 Mainly it's fashion elements are desert or earth colours, wave and floral prints pattern. It indeed is a very charming elements which had completely combined with the local culture, beautiful patterns and vibrant colours had work out pretty well and thus created a unique fashion piece. 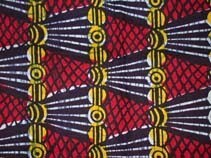 Different colours or patterns represent different moods, cultures, feelings and tradition of African people. The patterns are mainly done by local craftsman who are highly skilled to ensure there are no margin for errors. This had added authenticity to every single piece of the cloth and make it very valuable. Even if designers wish to reproduce, it wouldn't be easy @,@"
African prints / Wax prints, or local calls them "Kitenge" is the most famous among them. 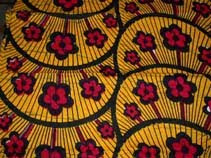 With its multi-coloured textile, nice fabric, great patterns and the colours simply don't fade over time had win the heart of peoples all over Africa. It's really not an easy task to produce >,<"
*Get any inspiration by the wonderful Africa patterns?